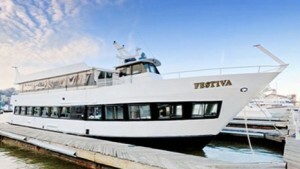 This 85 ft. Motor Yacht is certified for 149 passengers. 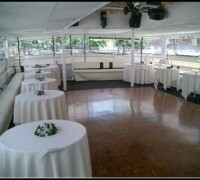 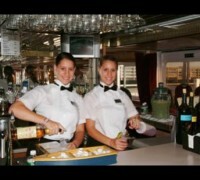 She is perfect for casual corporate events, weddings, Bar and Bas Mitzvahs or Private Parties. 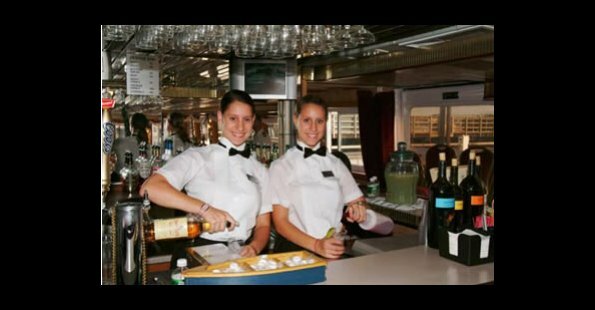 Average guest count is 40 to 100 Guests. 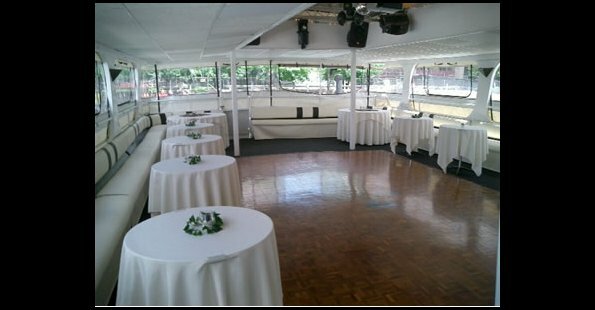 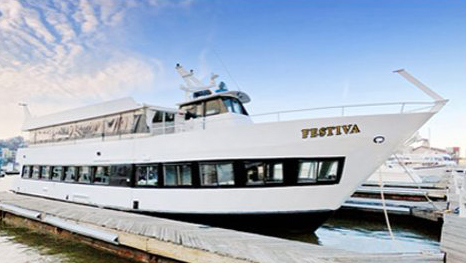 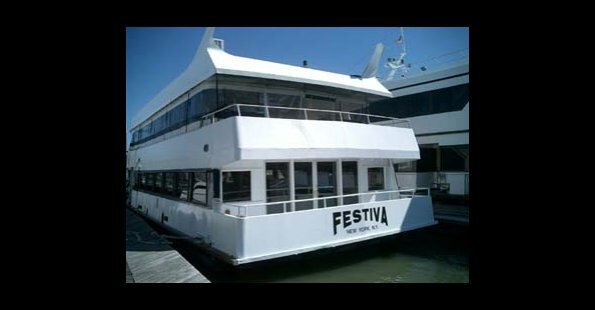 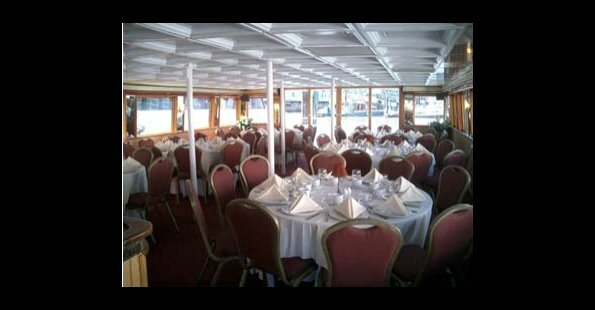 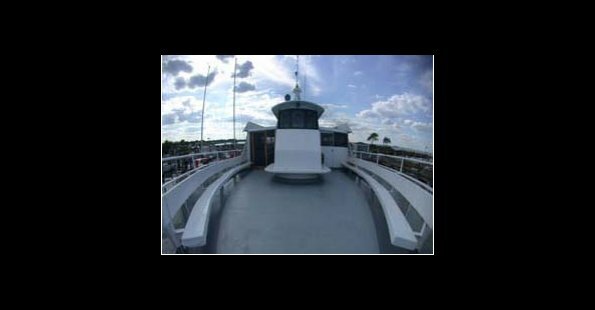 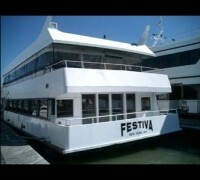 She offers a large Dance Floor on 2nd deck – wrap around bench seating, removable canopy top, sound system & lights, buffet dining room, Two bars, Large Outdoor Bow, Aft decks. 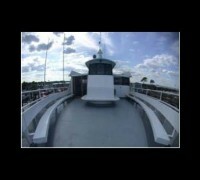 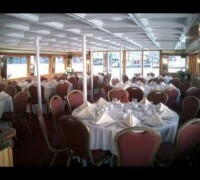 Seating Maximum is 80+ downstairs in dining room with additional seating available on the upper deck.